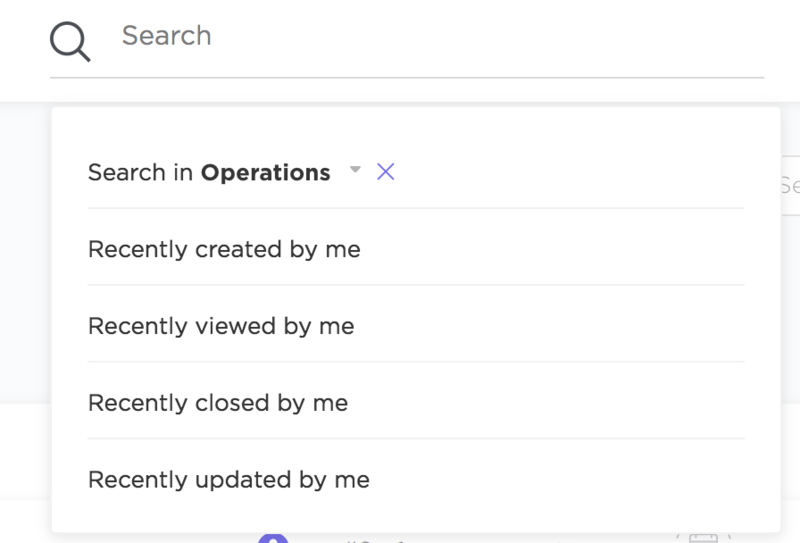 ClickUp's powerful search bar makes it easy to track down even the smallest action items within your Team! By default, search results are organized by Space. However, you can opt to search within a specific Space by clicking on All spaces. 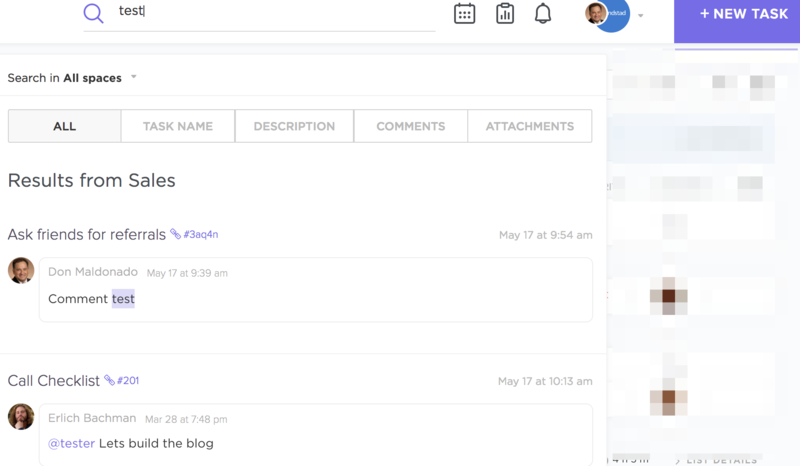 Once you've entered a keyword into the search bar, you can opt to search for it in task names, descriptions, comments, attachments, or all of the above. If you select All , instances of your keyword found in task titles and descriptions will listed above results found in comments and attachments. Broad match is used in results so that you don't have to remember the exact phrasing of the item in question. Pro Tip: Search a specific Project or List with the search filter in List View. Be sure to check out our sorting and filtering options for more tips on locating your high-priority tasks!